I can't even begin to describe how much I love homemade chocolate chip cookies! To this day, the smell of the freshly baked batch is enough to take me back to my mom's kitchen – her taking them out of the oven and me trying to „steal" one while she's not looking. Oh, the memories! You can't tell me you don't feel the same way about them – after all, they didn't become one of America's favorite cookies for no reason. So, in honor of the delicious, signature treat of our childhoods, I present to you this chocolate chip cookies epic article – all the knowledge behind the famous cookies gathered in one place. Was It All Just An Accident? 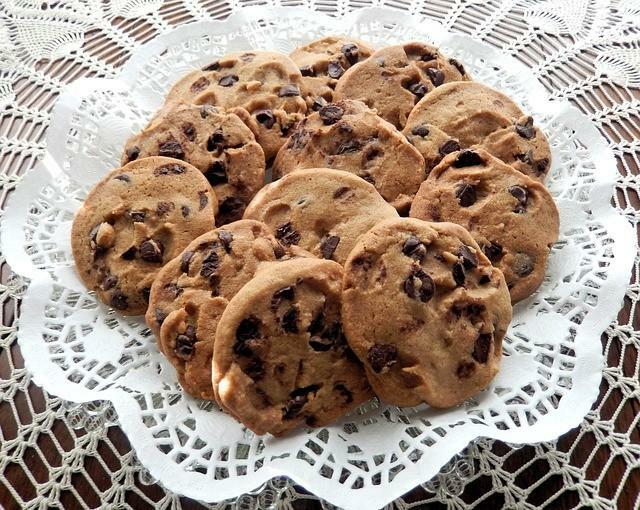 Did you know that chocolate chip cookie is celebrating its 80th birthday this year? So, I think it's only fair to start our epic chocolate chip cookie journey with the year when it all began. As it's often the case with these origin stories, several versions are going around, the most common one being that it was nothing more than an accident. 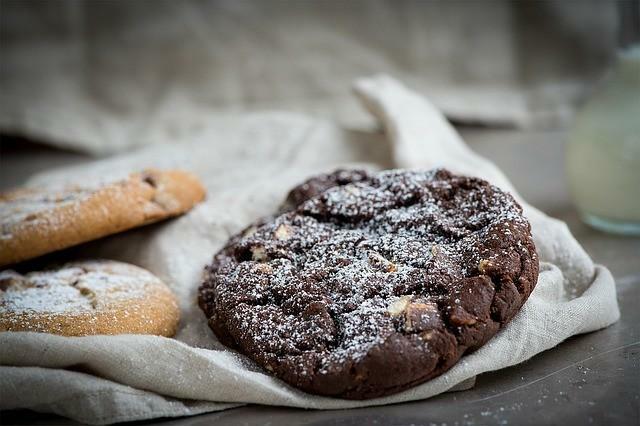 Read on to learn more about the origin of America's favorite cookie. Supposedly, Ruth was making a batch of her already famous Butter Drop Do Cookies when she realized she was out of baker's chocolate. To replace the ingredient the recipe called for, she decided to use a bar of Nestle semi-sweet chocolate, instead. Expecting the chocolate to melt the same way baker's chocolate would, and absorb into the dough, she chopped it up into tiny, pea-sized pieces, and threw those into the mix. They didn't melt, though – and that's how chocolate chip cookies came to be. The alternative version of the story, on the other hand, says that she runs out of nuts, not baker's chocolate, so she cut some pieces of Nestle chocolate to replace them. Whichever the case may be, the rest could be considered chocolate chip cookie history. Is necessity indeed the mother of invention? It certainly seems that, in this case, the old saying applies 100 percent. 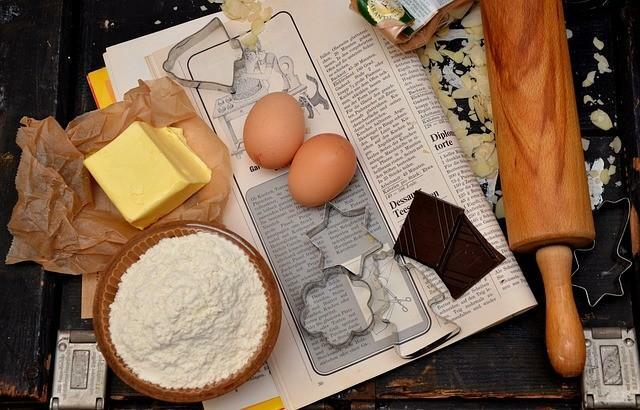 However, it's hard for me to buy into the story that someone as Ruth Wakefield, who owned a restaurant, and worked as a chef there, ran out of baker's chocolate, given the fact that it's one of the key ingredients in many baking recipes. But I guess we'll never really know what happened that day in Ruth's kitchen, back in 1937, except the fact that, accident or not, chocolate chip cookies were born. From 1930 to 1967, Ruth G. Wakefield, and her husband Kenneth owned a famous restaurant in Whitman, Massachusetts. Due to the restaurant's location – the site was previously used by travelers for paying tolls, resting, and the like - they named it the Toll House Inn. Ruth wasn't only a chef, known for her mouthwatering desserts – she was also a successful business owner, as well as an author. Namely, the first edition of her best-selling cookbook, Toll House Tried and True Recipes, appeared in the 1930s and since went through numerous prints and publications. The 1938 edition is the first one to mention the recipe, but more on that later. Of course, back then these weren't called chocolate chip cookies – their full name was Toll House Chocolate Crunch Cookies. What's even more interesting is that the chocolate bar she used the first time she made them was a gift from Andrew Nestle himself. As the newly invented cookies gained popularity all over the United States, the sales of the yellow-labeled, Nestle semi-sweet chocolate skyrocketed, as well. Being the businesswoman that she was, Ruth Wakefield saw this as an opportunity to make a deal with Nestle. She sold her recipe to the company so that they could print it on the packaging of Nestle semi-sweet chocolate, and in turn, she received a lifetime supply of chocolate – Nestle's, of course. When Ruth G. Wakefield published her famous cookbook, the Toll House Tried and True Recipes, in 1936, she didn't include the recipe for her chocolate crunch cookie, as she named them. The first time it appeared was two years later, in the 1938 edition of the cookbook, and it has been America's favorite cookie ever since! As I mentioned previously, once Ruth G. Wakefield sold it to Nestle, the recipe made its way to each packaging of Nestle’s semi-sweet chocolate, and into households all over North America. 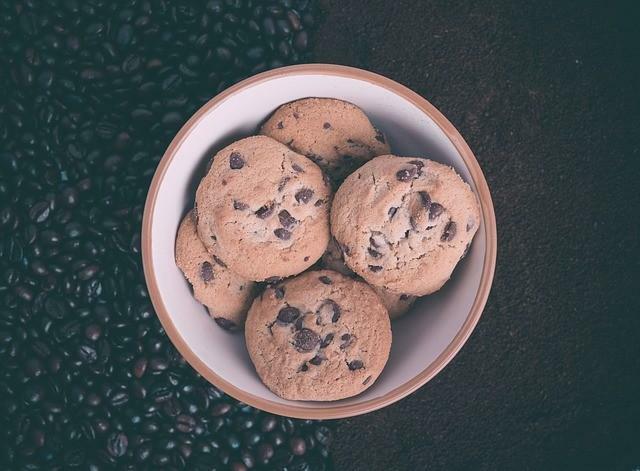 Now that you've seen how the OG chocolate chip cookie came to be, it's time to fast-forward to the present. As you can imagine, so many variations of the original recipe were created over the years, that it seems impossible to gather them all in one place. I'm pretty sure, at this point, every household has something different to contribute to the mix, even if it's something as trivial as how small should the chocolate chips be. However, you guys know I’m entirely dedicated to bringing you the best recipes I can find, so why should chocolate chip cookies be any different? Let’s dive head-first into the world of chocolate chip cookie recipes together! To avoid the unnecessary repetition of specific steps throughout the recipes listed below, I'll guide you through the preparation process step-by-step using the first one as an example, and you can apply them to every single one that follows. Of course, if there's a specific step that's unique to a particular recipe on this list, I'll be sure to point it out. You can't even begin to imagine the number of recipes for chocolate chip cookies I've read – and tried – over the years. Everyone seems to have their version, and everyone claims their formula is the best. When you think of chocolate chip cookies, these are the ones that come to mind – perfectly shaped, not too cakey, and not too dry, and, most importantly, mouth-wateringly delicious. Take a large bowl, pour in the following ingredients: cake flour, bread flour, baking soda, baking powder, as well as salt, and mix them. Set aside this bowl, as you move on to the next step. Using an electric mixer, cream butter and sugar in the other bowl; you should set it on a medium-high setting and mix for at least five minutes, or until you notice it’s becoming fluffy and light. That’s your sign that it’s time to move on to the next step. Start by reducing the mixer's speed to medium-low, and add eggs – one at a time – into the mixture. Now would also be an excellent time to add two teaspoons of vanilla extract – the mixer will ensure that everything is uniformly stirred. Gradually pour the flour mixture in, and continue stirring until you're sure you distributed all the ingredients evenly. Scrape the sides of the bowl down from time to time as you go – most powdery ingredients, flour included, tend to stick to the sides, especially when you're beating them in with creamy components, such as butter. Okay, now’s the time to add chocolate to your cookie dough. You probably noticed that the recipe calls for chocolate discs; if you can’t find any, that’s perfectly fine, regular semi-sweet chocolate chips will work, as well. But if you ask me, there's nothing better than seeing layers upon layers of chocolate discs in your cookies. Yum! Don’t prepare the pan just yet – if you want to follow the recipe to the letter, you’re going to have to wait at least 24 hours before you can put them in the oven. Yes, you read that right – 24 hours. The man behind the recipe – Jacques Torres – actually recommends waiting up to 72 hours, and using that time to chill the cookie dough correctly (I'll explain why later). Of course, I don't expect you to wait that long, but for the best results, you should at least follow the 24-hour rule. So, cover the dough with a piece of plastic wrap, place it in the fridge, and show some patience. Once the time is up, preheat the oven to 350° F and take the dough out of the fridge – it’s time to bake some chocolate chip cookies. Prepare the baking tray by lining it up with a sheet of parchment paper, and using a large spoon, transfer the dough onto it, leaving enough space between the cookies, so they don’t stick together when they spread. Bake the cookies until you see the edges are starting to get a light, golden brown color; the middle, however, should still look soft when you take them out of the oven. That shouldn't take more than 15 minutes - keep an eye on them. 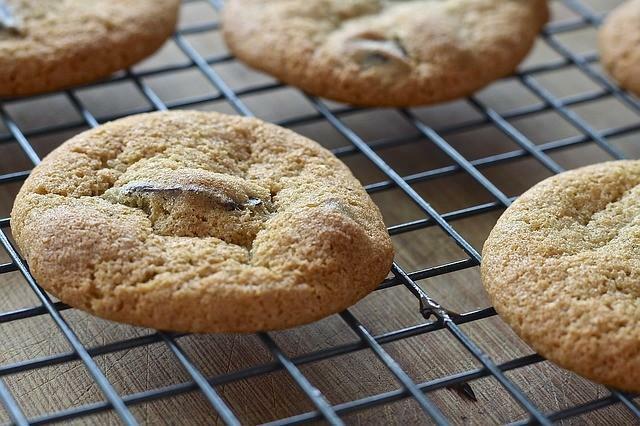 When they're done, remove them from the oven and leave them for a couple of minutes on the baking sheet before you transfer them on a wire rack, so the cookies can cool down before you serve them. It might not seem like it, but that's an essential part of the process, so don't try to skip it – I'll tell you more about it later. Okay, it’s time to spice things up a little around here! Have you ever thought of giving your chocolate chip cookies a boost by throwing some „unconventional“ ingredients into the mix? Of course, when I say unconventional, I don’t really mean that – these are all common ingredients, you just won’t find them frequently used in chocolate chip cookie recipes: cinnamon, ginger, or even cayenne pepper. But since I did promise you a chocolate chip cookies epic article, I thought it would be nice to do some experimenting, and take your baking to the next level. While my recipe does include nuts – any type would do, really, I just tried walnuts, and pecans – I marked them as optional; if you’re not a big fan of nuts, you can easily exclude them without significantly altering the recipe. Since it's a one-bowl recipe, you can mix all the ingredients in one container; start with butter, vanilla, brown sugar, and an egg, then gradually include the remaining dry ingredients. Use a mixer to beat everything into an even mass, except the chocolate chips (and nuts) – those should be stirred in manually. The recipe doesn't require any chilling. The oven should be heated to 375 degrees, so a bit more than the "classic" recipe calls for, which will cut their time in the oven to nine minutes top. ​Those of you that are feeling super adventurous could try substituting ground ginger with a ¼ tablespoon of cayenne pepper. I can promise you one thing – those will be the spiciest chocolate chip cookies you ever had! Start by mixing butter, vanilla, and two types of sugar, then add the egg, and finally, move on to the dry ingredients – whole wheat flour, baking soda, and a tiny amount of salt. Chill the cookie dough for about 30 minutes before baking. You should heat the oven at 350 degrees; once the cookies are done (which should be after 8 to 12 minutes, or whenever they get a golden brown color), leave them to cool for at least five minutes before you move them to the rack. You don't have to deal with a sink full of dirty dishes afterward – all it takes is one bowl. That, and the fact that the recipe calls for whole wheat, not all-purpose flour, makes this recipe ideal for all the moms out there determined always to provide a healthy option for their kids. That being said, you don't have to swap all the „fun" ingredients out – one subtle change, such as using 100% whole wheat flour, could be enough to make the cookies healthier, without them tasting „too healthy“ if you know what I mean. 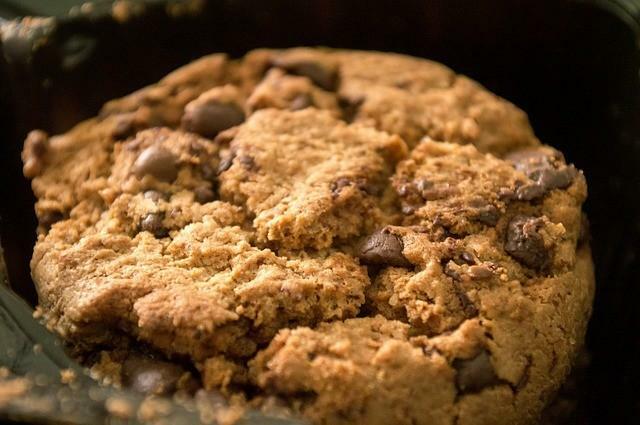 I would feel awful if I left out this incredible vegan-friendly variation of the chocolate chip cookie recipe – just because you decided to transition to a diet free of animal products, doesn't mean you can't enjoy cookies anymore. Whisk together coconut oil, vanilla extract, and brown sugar, then add coconut (or almond) milk, and applesauce, and stir everything well. Use another bowl to mix the remaining ingredients – flour, baking soda, and salt, then add those into the previously made mixture, and stir until combined. The dough will be very thick, but don't worry about that – that's what it's supposed to look like. Also, there's no need for chilling the dough – bake them as soon as you're done mixing. You should preheat the oven to 375 degrees, so the cookies shouldn't be in there for longer than 10 minutes. I don’t think anyone will even notice they’re vegan! You can serve these to your non-vegan friends as a fun experiment, just to see if they can tell the difference. Let me know how it goes! Seeing the words "healthy" and "cookies" so close together always gets me – every single time! 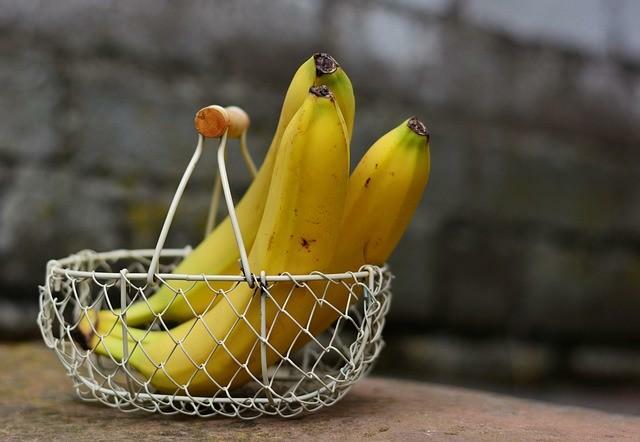 So, if you have some ripe bananas just laying around in your kitchen, it's time to put them to good use – try out this delicious – and not to mention, healthy – take on the „classic" chocolate chip cookies recipe. However, keep in mind that these are not fat-free, and they indeed aren't sugar-free – but they are one of the best ways to indulge your sweet tooth without feeling guilty. A few simple ingredient swaps make all the difference – coconut oil instead of butter, oat flour instead of refined, white flour, cornstarch instead of eggs, and you already made a much healthier recipe. Mix the dry ingredients (oat flour, cornstarch, baking soda, and salt) in one bowl, and the wet ones (coconut oil, two mashed bananas, vanilla extract, and brown sugar) in the other. Add the dry into the wet ingredient mixture, and stir until they're adequately combined. Chill the dough for about 30 minutes before putting it into the oven. You should preheat the oven to about 375 degrees, which cuts the baking time down to 10 minutes (or until you notice they turned golden brown on top). If you don't have any oat flour, you can quickly make it yourself. All you need are some rolled oats, and a food processor – pulse them until they turn into a fine powder. As someone who has tasted a ton of different chocolate chip cookies, I can tell you one thing – there’s no definitive answer as to what texture should they have. 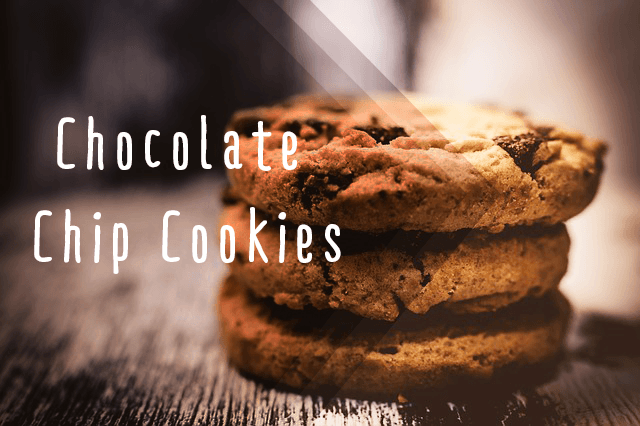 Chewy, soft, crisp, moist, crumbly, thick, flavorful, bland, cakey, greasy – all of these words can be used to describe chocolate chip cookies. I've decided to do a little experiment; the idea was to play around with the standard recipe by switching up some ingredients, incorporating them differently, or using them in another ration than suggested by the recipe. I wanted to see what results would I get, and how these subtle variations of the formula might change the texture, and overall flavor of my cookies. Why does it even matter? 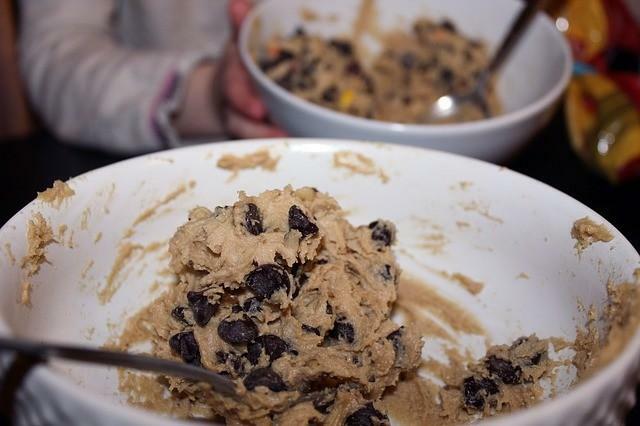 After all, it all ends up like cookie dough anyway, right? How you incorporate butter into the mixture – or better yet, in what state it is when you add the sugar – will determine the texture of your chocolate chip cookies. The two forms of butter will behave differently once you combine them with the rest of the ingredients, which is why, in most cases, you shouldn't use them interchangeably. 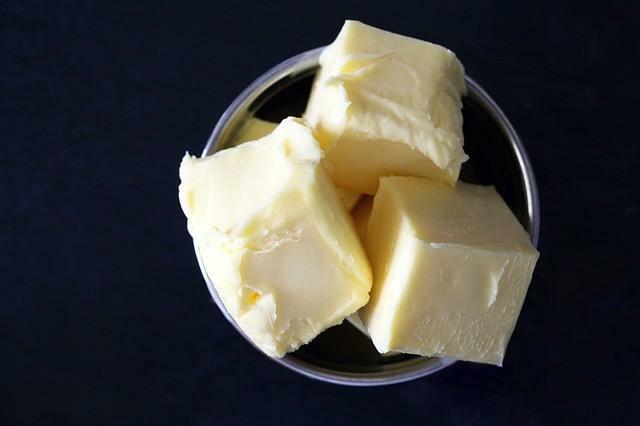 Using Solid Butter – Before we move on, I want to make something clear – you should keep butter at a temperature of around 65 degrees Fahrenheit, so soft enough for you to leave a small indentation with your finger, but firm enough to hold its shape. Using it this way will result in cakier cookies, since the air pockets in the dough – which are created during the mixing process – give them a light texture, and a tender crust. 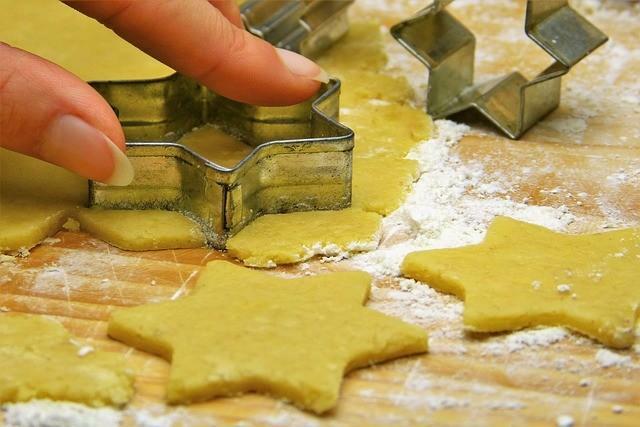 Using Melted Butter – When you’re already using baking soda or baking powder in your recipe, instead of being an important leavening factor, butter’s main role becomes adding color, flavor, as well as moisture to the cookies. They’ll be flatter, that’s for sure, but they’ll also be crisp around the edges, a bit chewy, and they’ll have a shiny, crackled top. So, what's the final verdict – should you melt the butter before using it or should you keep it firm? You should try both – each approach has its benefits and results in a different cookie texture, so ultimately, it all comes down to your personal preferences. Believe it or not, there's a huge difference in using white or brown sugar when making chocolate chip cookies. And it's not about the sweetness, either – the real difference can be seen in the way they spread. But how does the sugar affect the cookie? There's a little bit of science in everything, even something as simple as baking chocolate chip cookies. First off, you need to look at sugar as one of the building blocks for your dough – it determines the overall pH value, gluten formation, gelatinization of starch, protein coagulation, and yes, even bacterial development. Personally, I feel like we're not giving sugar enough credit. 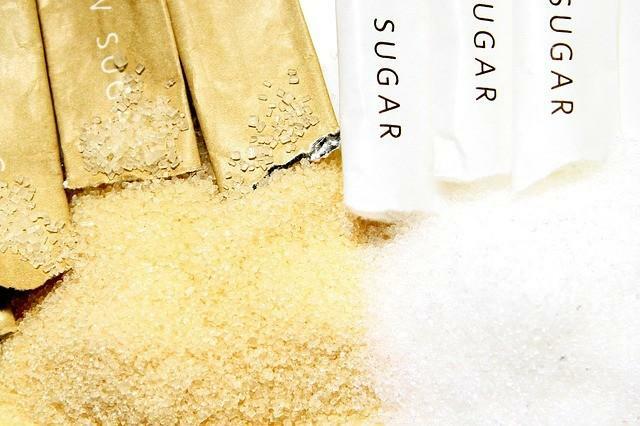 White Sugar – I'm going to start with white sugar merely because it's the one people usually reach for, and one that's considered a kitchen staple. I feel like the fact that white – or granulated – sugar is neutrally flavored, odorless, and colorless plays a massive roll in labeling it as something that just acts as a sweetener. What you need to remember is that it's crystallized sucrose (you'll see later on why I mentioned this) with relatively neutral pH value. Also, it is hygroscopic, although very mildly, especially when compared to brown sugar; put simply, white sugar retains some moisture – not a lot of it, though. So, what does this mean for your cookies? Since baking soda requires a slightly acidic environment – which white sugar's neutral pH apparently doesn't provide – to react and create bubbles, you'll be left with flat, white, although very crunchy, and crisp cookies. Brown Sugar – Now, let's talk brown sugar. Mostly it's crystallized sucrose. However, glucose and fructose (which are way more hygroscopic) are also a considerable part of it; also, brown sugar is known to contain some minerals and amino acids, which gives it its distinct flavor. The most important thing to remember, though, is that brown sugar has a slightly more acidic pH value, making it an excellent addition to any recipe that includes the chemical leavening agent known as baking soda (which is alkaline). When these two make their way into the same dough, they react, producing carbon dioxide – tiny bubbles that leaven your cookies. That's the main reason why using brown sugar results in thicker, softer, moist, slightly brown cookies, with a beautiful butterscotch flavor. I have to add that, in my humble opinion, light brown sugar is a better choice than the dark one when used for this particular purpose. It's hard not to assume that Wakefield precisely knew what she was doing when she used both white and brown sugar in her recipe – combining the two (when it's done right, of course) will give you the best possible results. While most people will tell you that you can use these two types of sugar interchangeably, that's not entirely true. As I previously mentioned, using one or the other will have an enormous impact on the dough's chemistry, which is not something you should just brush off. To chill or not to chill, that is the question! All jokes aside, there's a real debate about chilling cookie dough before baking or using it as is (at room temperature), which is precisely why I decided to test out both of these methods. Before I get to the results – I know you're probably impatient to hear what's the big deal with using frozen dough instead of the room-temperature one – I want to take a minute to explain to you the science behind all of this. Butter is one of the critical ingredients for achieving that pleasant, creamy flavor, but the problem with using room temperature butter is that it melts as soon as it hits the oven. That's why you need to give fat the time to solidify, which will prolong the point of melting, and in turn, the crust on the cookies will form before the butter even starts melting. So, to cut my answer short: yes, putting cookie dough in the fridge for 24 hours (or up to 72 hours if you wish to wait that long) does make a significant difference in both texture, and taste of the cookies. First off, you'll end up with cookies that are more evenly shaped – chilled cookie dough gives you more control over the cookie spread. You'll end up with a batch of chewy, crisp, and slightly thicker cookies, rather than being all soft and doughy. I also mentioned flavor changes tremendously, and here's why: chilling will gradually dry out the dough, which can only result in stronger, more concentrated flavors. Think of it this way: would you preferably drink a watered-down glass of lemonade or one that contains less water (and more lemon)? We can all agree that cookies are a relatively easy treat to make, right? While that’s mostly true, judging by the not-so-short list of common mistakes people tend to make when baking these, it seems like there’s still a lot of room for messing things up, which is why I decided to dedicate this entire section to these common cookie disasters. And most importantly – how to avoid them altogether. I don't know why people are so scared of adding just a pinch of salt to their cookie dough – it won't make your cookies salty. What salt does is bring out the sweetness of the cookies even more! Some recipes also call for sprinkling a bit of flaky sea salt on top just as you bring them out of the oven, and I'm pretty sure professional chefs know what they're talking about here. 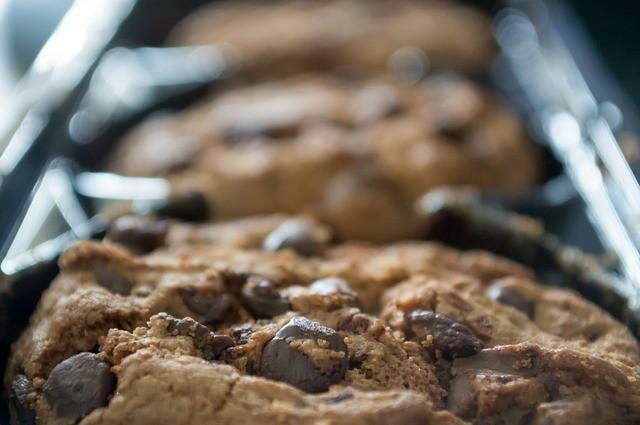 As you know, cookies spread as they bake, so leave enough space between – two to three inches should be enough – otherwise you'll be left with something that resembles one giant cookie (a cookie cake if you will) rather than an actual batch of chocolate chip cookies. Another thing I’ve noticed, that’s tightly related to this issue, is that sometimes balls of dough aren’t evenly sized, which ultimately results in cookies that bake at different speeds. I told you this was an important step that you shouldn't ignore, didn't I? Don't rush things; even though it doesn't seem like it, cookies are still baking once you take them out of the oven – the heat from the baking sheet is actually enough to bake them just a tiny bit more. That's why it's recommended to leave the cookies on it for at least a couple of minutes before you transfer them onto the wire rack. Before you say anything, yes, it’s possible to overwork the dough, and while some types of baked goods do require it, cookies are not one of them. So, once you add the flour mixture to the butter, stir just until all the ingredients are well combined, and there’s no more visible traces of flour – nothing more than that. You’ll just end up with hard and tough cookies, and I don’t think anyone likes their cookies that way. There are two ways this could go wrong – either you don't measure the flour at all (thinking you're experienced enough to estimate the amount you're using correctly) or you scoop it directly from the bag and into the bowl (using the cup method). You may end up using up to 30 percent more flour than the recipe calls for, which, as you might know, results in cookies that are tough and dry. If you are, congratulations – we’ve made it to the end of this article, without you getting bored out of your mind with all this chocolate chip cookie talk. All jokes aside, I think that’s about it – everything there is to know about cookies gathered at one place. Amazing, right? 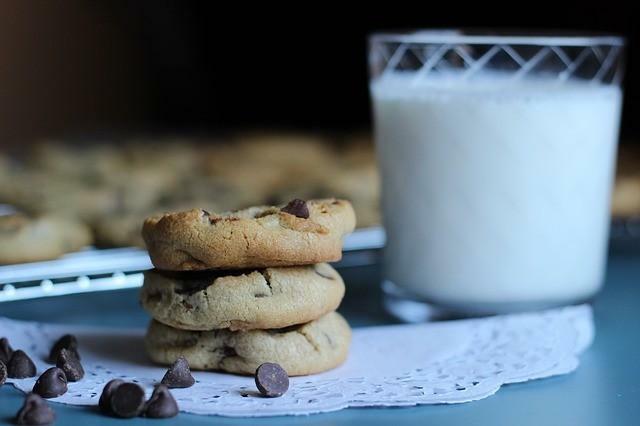 I know August is a long way from now, but don’t forget to have a batch ready for August 4th – after all, it is National Chocolate Chip Cookie Day. You might also like: How to Make Cream of Mushroom Soup Gravy Recipes?